Just my type! I am a vintage typewriter geek and I owned several typewriters. I don't even care if they work or not, I just like them! 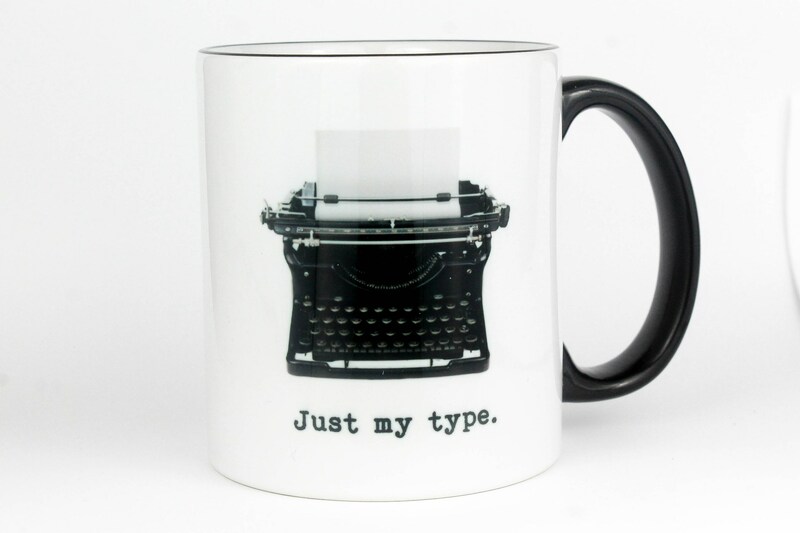 This design also has the alphabet on the backside of the mug in a fun typewriter font.